First of all, we've now hit the deadline for UK Christmas orders. The only chance now for UK Christmas delivery is by purchasing items found in my Ready To Ship shop section. All of these products have been made in advance and will be ready to post on my final post run of the year on Monday, lunch time. 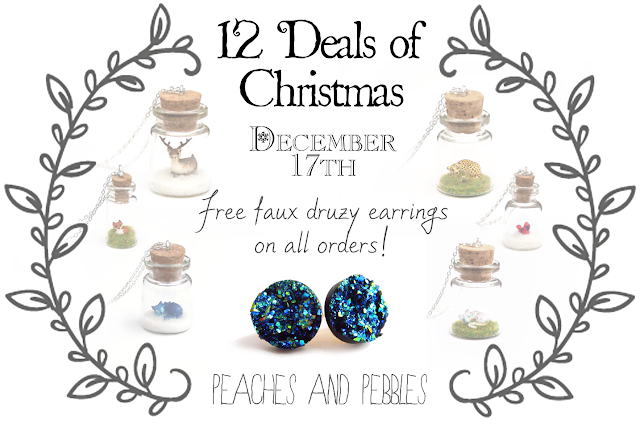 Otherwise, today's 12 Days of Christmas offer is free druzy earrings for all orders! This applies to all orders placed today regardless of shop section.